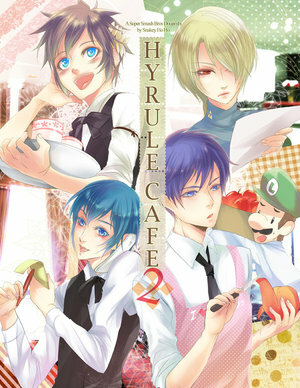 Hyrule Cafe 2. A (still in the making) fanmade game. और info: snakeyhoho.deviantart.com/journal/Hyrule-Cafe-Demo-2-o-225976899. Wallpaper and background images in the Super Smash Bros. Brawl club tagged: link pit ike marth super smash bros. brawl.